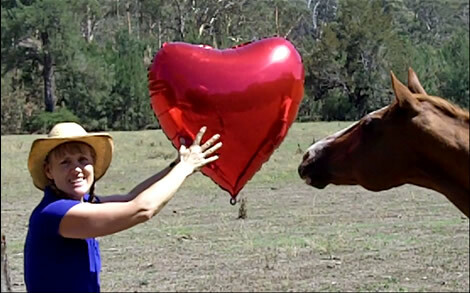 Do you want your horse to fall totally in love with you? The secret.... (shhhhhh).... is to do activities together that you both enjoy. It is just like any relationship. We all like spending time with people that are fun, interesting and who like doing things we enjoy. Your horse is no different. If you are enjoying your time together, you will both want to be together. 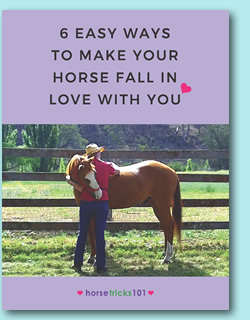 6 easy activities that will make your horse fall in love with you. Activities that are different to the usual standard boring horse training. Activities that don't involve riding or need any special equipment. Activities for all equines - horses, ponies, donkeys or minis. Activities for any age - humans and horses. If you have any questions please CLICK HERE to contact us. (Trigger is an expert on just about everything).